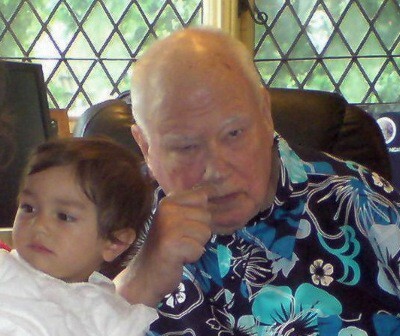 Sir Patrick Moore is primarily known for his work on the long running TV series, The Sky at Night but he is an author, musician and an observational astronomer, too. He is also a former director of the Armagh Planetarium, a co-founder of the Society for Popular Astronomyand a former president of the British Astronomical Association. His autobiography was published when he was Eighty in 2003. It is upfront, strongly opinionated, potentially uncomfortable in places for some and remarkably honest. He writes unapologetically with the political correctness of an earlier generation. He recounts his meetings with many of the key contributors in science and astronomy of the late twentieth century. It is a unique personal account of the development of astronomy and science during a fascinating period humanity’s exploration of space. An absolute “must read” for those of us who grew up with Sky at Night. 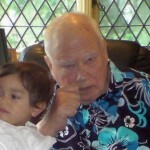 I met Sir Patrick Moore at his home in Selsey, called Farthings, on 20th of August 2009. He was an extremely hospitable host. We discussed several themes of his autobiography Eighty Not Out, and we started with cricket. Today’s quote, reflecting his tongue-in-cheek and humorous approach to to life, is from Patrick Moore himself. At my age I do what Mark Twain did. I get my daily paper, look at the obituary and if I am not in there I carry on as usual.